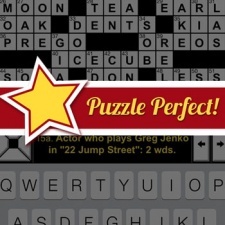 PuzzleCreator, the New York-based developer of Daily Celebrity Crossword, has announced three new hires. These include two of the game's original engineers who are now joining the team full-time: James Morgan who becomes CTO, and Sergio Mertsching - VP of Engineering. Previously at Bash Gaming, UA expert Shamanth Rao becomes director of growth. "Publishing fresh content as a daily game is how we solve the retention problem faced by most game developers," said PuzzleSocial CEO Jeb Balise. "These hires solidify our commitment to making Daily Celebrity Crossword a household name, and to supporting daily content-driven games 365 days a year."